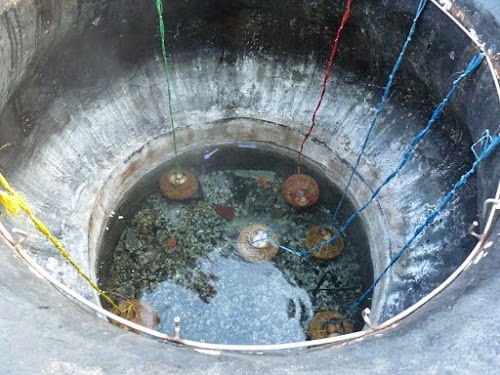 One more Vietnam popular destinations for tourists is Binh Chau Hot Natural Springs. This is a tourist area with beautiful landscape ecology. It is located in the untouched forest and it has 70 hotspots connecting around one river. The temperature here is between 37oC and 82oC. Its water contain many substances such as silicon, nitrogen, sodium… it is seen as an effective treatment for many patients. In 1928, Doctor Sally, found out this place and promoted to Dong Duong newspaper and it became a hot place for tourists. However, the war destroyed many place around there, and it turned into an isolated place for a long time. At the beginning of the 21 century, Saigon Tourist Company invested to this place and made it quickly become one of Vietnam popular destinations. In this tourist area, the visitors can have a chance to relax in hot water at Suoi Mo or Que Huong Lake (bath tub) with a reasonable price 300,000 VND per hour for 10 people and 200,000 VND per hour for 7 people. 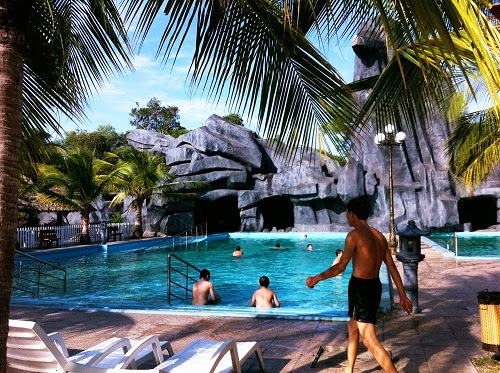 If the visitors go alone, we would recommend that you should attend in public pool with a cheap price 7,000 VND per child and 10,000 VND per adult, especially this place provide the mud bath with 90,000 VND per person ( the price may not be accurate up to now due to our member took the trip 2 years ago). If you have time coming to this Binh Chau Natural Hot Springs, you should not forget the chance to enjoy the boiled eggs here. It is extremely delicious and very different with others boiled eggs due to the yolk inside the egg will be boiled first and the taste is quite different. In addition, the reasons why this place becomes one of Vietnam Popular destinations is provide for tourists many entertainment activities and sports such as golf course price is 30,000 VND/ 50 balls, volleyball, pool and the garden party under moon with 1,000 seats stage or fishing lake crocodile. If the tourists do not like indoor activity, this place provides a fantastic picnic for them by riding horse or cow in some place in the forest. Boiling Egg in Hot Water. Similar with other Vietnam popular destinations, the tourist area have 5 cluster hotels including 116 rooms which is uniquely designed and luxury. We think that this place is a choice for the tourists who want to relax and enjoy the natural air. Hope you have an amazing trip in our country.